Rachel joined the team in 2010 to provide program support to our NYC sites and currently serves as Learning Design Manager. In her role, she creates media and learning activities for Mouse Create, and leads NYC professional development workshops for Mouse educators. Rachel has 15+ years of experience working with youth, educational and media related NPOs. She has taught video production in NYC public high schools as a teaching artist and at Hunter College as an adjunct professor. 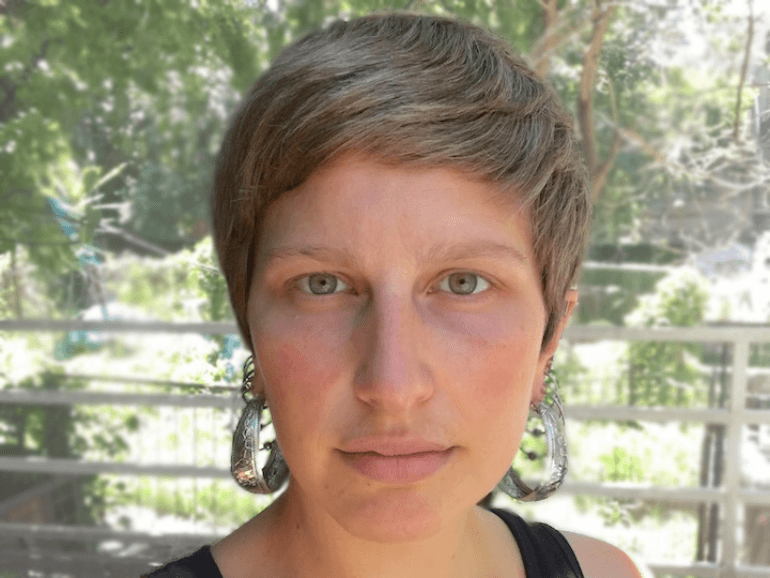 Rachel is currently an adjunct at NYU, where she facilitates a course for K-12 art teachers in training called "Teaching Art in a Digital Age: Visual Culture and Media Literacy." Rachel is passionate about using art and technology as tools for social change. She stages urban interventions as a member of the political projection collective The Illuminator, has screened her short documentary films in festivals in the US and abroad, and has been a vocalist in two doom metal bands. She is also a year-round cyclist commuter who enjoys wandering. Rachel has an MFA in Integrated Media Arts, as well as a BA in Film Production and Political Science, from Hunter College (CUNY).